This competitive festival features over 60 middle and high schools. 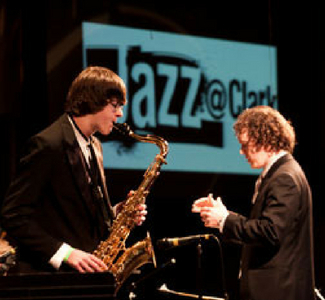 During the day, groups perform to an esteemed panel of renowned jazz educators and performers for the privilege of returning to perform in the evening finals competition where they will be ranked for 1st, 2nd and 3rd place. On the final evening of the festival, one band is selected to receive the coveted Sweepstakes Trophy.